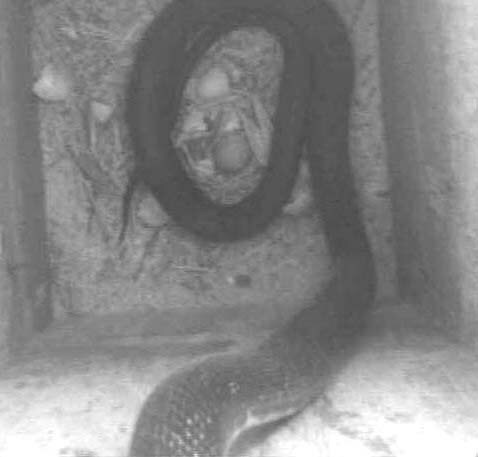 This year black rat snake predation on flicker eggs, flicker nestlings, barn swallow eggs and possibly kestrel eggs took place within the barn. Also, there were no nests of open nesting species in our extended yard and barnyard. A very early spring nesting robin under the chicken coop eave was the one exception. This is the first year in memory when not one of the three mimic thrushes nested in the yard. Usually all three nest either close to the house or barn. All the usual open nesting species were frequently present in the yard. They just nested elsewhere. Cardinals often nest in the Eastern red cedars bordering the lawn. Perhaps the other species joined them this year. 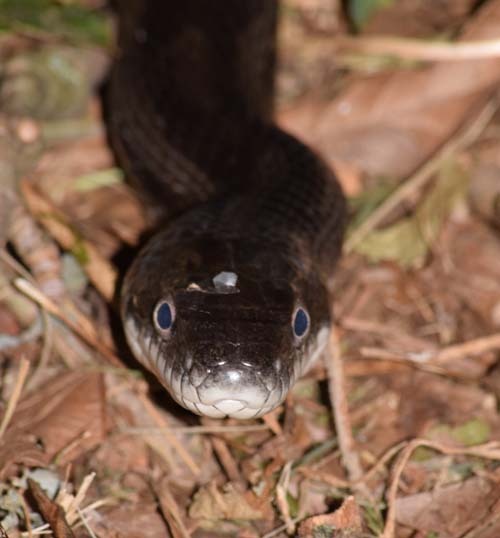 Black rat snakes may have a problem negotiating the prickly needles to reach nests in the dense cedar branches. However, all the bluebird boxes were used successfully by bluebirds and tree swallows. Some of these have 4” pvc pipe over the 4x4 posts and others are mounted on metal fence posts. Three of the boxes subsequently had mid-summer house wren nests. Carolina wrens nested in the wagon shed, but not in the barn, as in previous years. 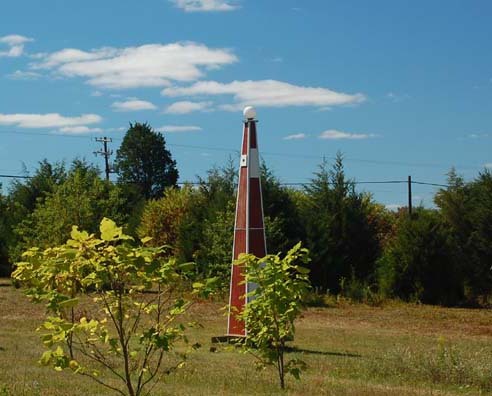 The purple martin colony was also unaffected, even though they certainly make their presence known. Below is a brief summary of the events in 2018, preceded by 2017 unheeded warnings. June 14, 2017 A large black rat snake was observed being tormented by a brown thrasher in the front yard. In opening the screen door to try to take a photo, I frightened the thrasher who immediately flew off. The snake eventually went up a sycamore, disappearing under the Virginia creeper vines on the trunk. Thrashers are extremely vocal when agitated. But this response to the snake in the grass went well beyond any screeching they have directed toward me when I even look at their nest from a distance. Now, a year later, I realize the thrasher’s reaction to this snake was warranted. Earlier in spring, thrashers had successfully nested in a lilac in the front yard. The black rat snake seemed unperturbed by the thrasher’s rage or my curiosity. The snake eventually decided to climb up a large sycamore. Climb is not the right word – it seemed to effortlessly glide up the smooth trunk. Fall, 2017 - Two black rat snake shed skins were found in the swallow room. 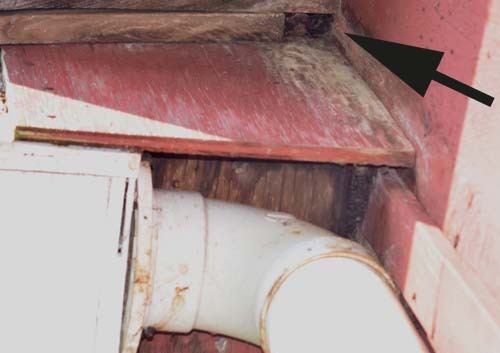 One small and one partial large skin were both stretched along 2nd floor joists where the snake could wedge itself between the joist and floor board. The small skin was actually draped over a swallow nest cup. 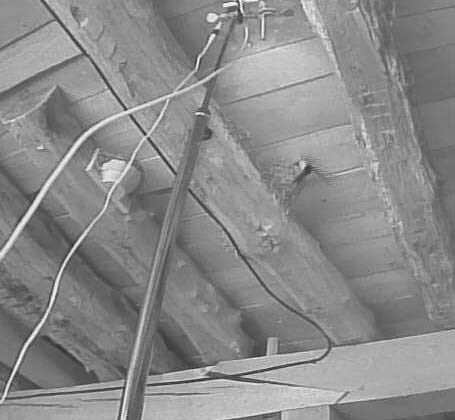 I began snake proofing all small cracks and knot holes in the second floor over the swallow room. The doors would be done after all the machinery and other items are removed in spring. 5/1/2018 – The colony room is not snake proofed yet, but will have to wait until after this year’s nesting. Only 5 birds returned and the extra male is making life difficult for the others. I don’t want to further disrupt them while they are sorting things out. 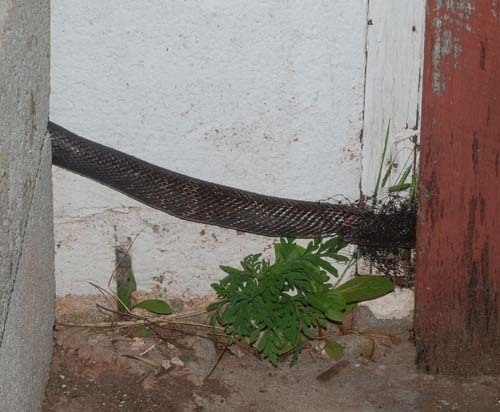 5/20/2018 – A black rat snake was observed on the 2nd floor of the barn, between cabinets along the south wall. It had access to behind and beneath the cabinets along the wall so I could not catch it. This half of the barn is over the nest cup factory rather than the swallow room. 5/21/2018 - The female kestrel was flushed from her tower when I opened the door to the instrument compartment. The tower pair seems to be nesting as usual. Video will be recorded soon. 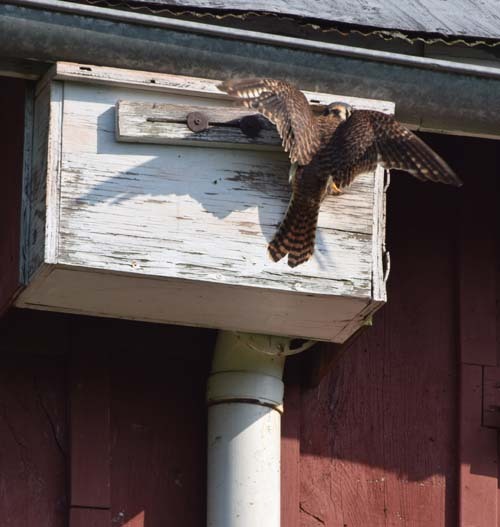 5/23/2018 - A female kestrel was observed entering the old inactivated starling trap on the west barn wall, around the corner from box “A” where kestrels usually nest. Flickers are nesting in Box “A”. The female kestrel is spending much time in the trap and taking breaks in the ugly young maple. The trap must be hot, with no ventilation in the afternoon sun and on a west facing wall. Its entrance had been greatly enlarged by a gray squirrel and last year I saw two squirrel pups with their heads pressed together, watching me from the entrance. 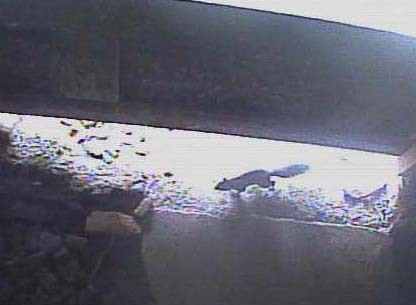 The squirrel’s use of the trap is a good thing, since it leaves box “A” for either kestrels or flickers. It is odd that the kestrels would move to this hothouse instead of using box “A”. They always seem to have priority over the flickers who then have four other boxes available, each of which they have used in the past. The female kestrel at the old starling trap. 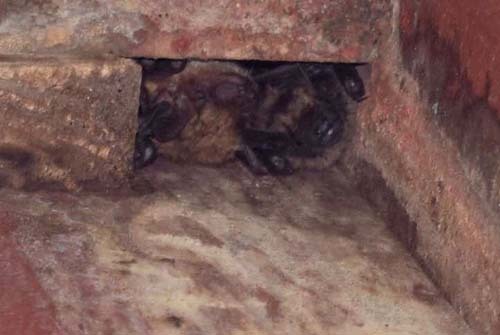 The trap had remained in place to allow big brown bats to periodically use the space behind it as a day roost. 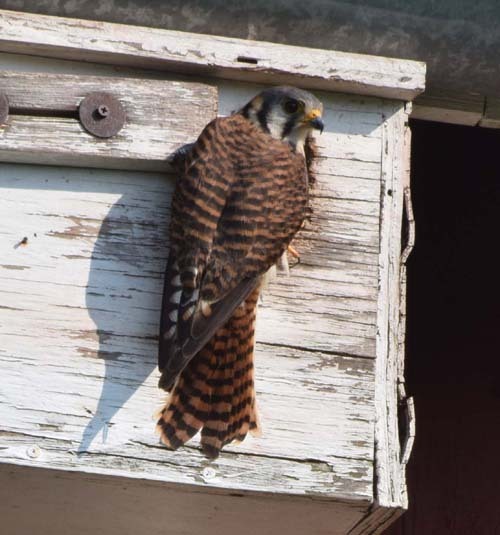 5/24/2018 - The 7 flicker eggs in box “A” hatched, but sometime in the past two weeks, a kestrel egg was also deposited in the box. This 8th egg was incubated by the flicker but did not hatch in the brief time required for the flicker eggs of 11 days vs. 30. I was unaware that it was a kestrel egg until I checked the box. 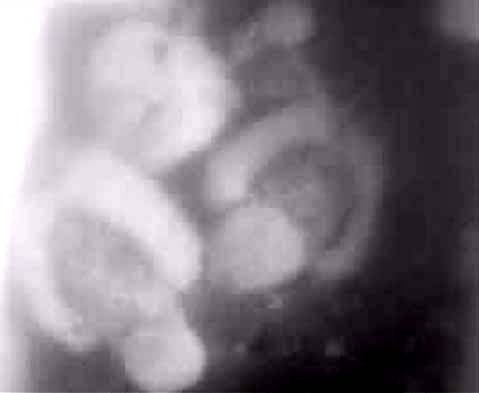 In the motion detection jpg images it usually was indistinguishable from the seven flicker eggs. Also, in dim light and the absence of infrared lighting, an early morning visit by the female kestrel may not have been noticed in the b&w jpg. The kestrel egg is not obvious in this image. All seven flicker eggs hatched. 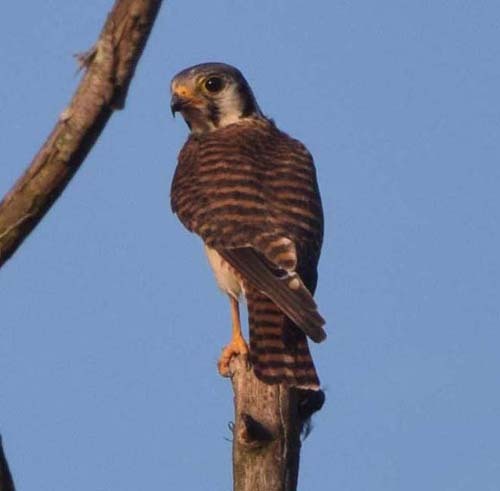 5/25/2018 - A second male kestrel was observed challenging the resident male in the maple tree. The resident held his ground and the intruder eventually left. This is the first interaction I have seen between the two males in recent years with two pairs nesting. However, this may not be the tower male. The tower nest has three young nestlings.  The video image is already poor. Perhaps this is condensation on the lens, but it is still usable for monitoring. Both the male and female are bringing prey to the tower nestlings. Usually, at this stage, only the female butchers and feeds the young, while the male either drops the prey into the nest or passes it to the female on a nearby perch. 5/25/2018 - before dawn, a large black rat snake predated the box “A” newly hatched flickers. The male flicker was present.  Night video was too dark without infrared, but the snake remained in the box until daylight. The male flicker would drop to the floor, but seemed not to attack. The snake appeared to ignore the flicker. The snake left the box in the early morning. All seven newly hatched nestlings had been eaten. 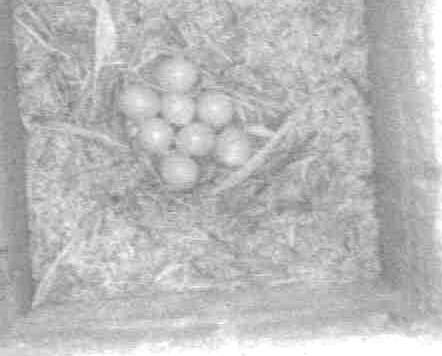 The kestrel egg was ignored, likely because it was cold, or not as appealing as the seven young babies. Male flicker clinging to entrance. 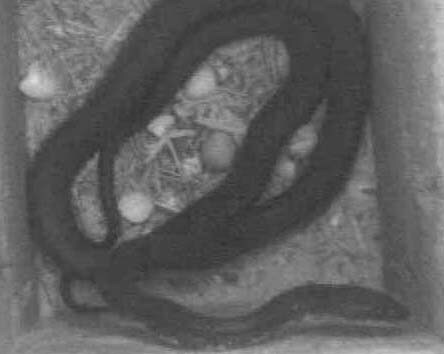 black rat snake in box “A”after eating 7 newly hatched flickers. Exterior wall – arrow points to box entrance. 5/26/2018 - I placed rolled bird netting under the 2nd floor large door in an attempt to trap the black rat snake. This is the location where a black rat snake was accidentally caught in the same type of bird netting in 2013. I never thought I would be purposely trying to trap what may be the same snake five years later. 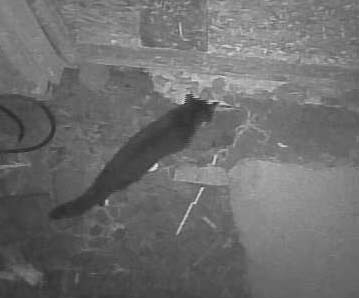 I have decided I will only trap inside the barn, but I will have to kill it if trapped. Relocation seems not fair to the natural community where it would be released. Also, our 17 acres is not large enough to prevent the snake from quickly returning to the barn. 5/26/2018 - The first barn swallow nest in the colony room has been predated. All 5 eggs are gone and there are no shells or eggs to be found on the floor. This may also have been a black rat snake. Bird netting has been placed under the main swallow room door where the birds enter. 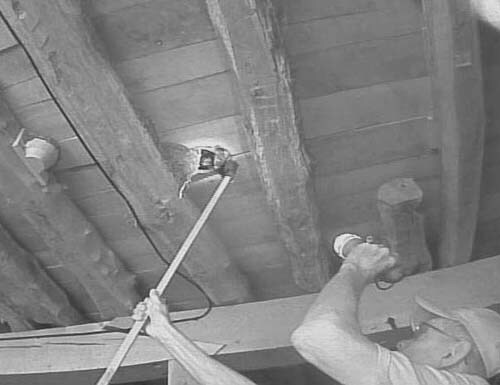 Two barn swallow nests are being monitored with video cameras and infrared lighting. 5/27/2018 - A large black rat snake was trapped in netting at the 2nd floor big door and killed. More netting has been placed under all 5 swallow room doors and the woodshop door. 5/28/2018 - Another large black rat snake was trapped at a swallow room door. A second large black rat snake was trapped at the 1st floor woodshop door. Both were killed. 5/29/2018 Two black rat snakes were trapped at the 2nd floor big door. 4’ and 5’, both were killed. 5/30/2018 - A small black rat snake was found in netting at a north door of the swallow room. It was completely inside netting, but not trapped. This may answer the question, “Where are the babies?” This one was less than 3’. It was captured as it left the netting and was killed. 6/1/2018 - A small black rat snake was found in netting at a door in the 2nd fl tool room. This one was less than 2’. It also was not trapped. 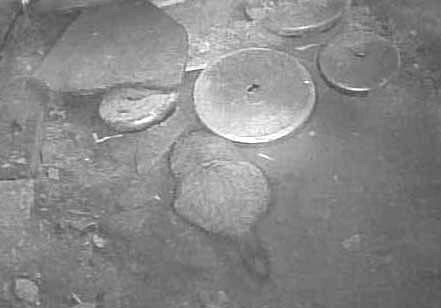 They appear to lie in wait at small openings, waiting for a rodent to enter. This one was also caught and killed. 6/1/2018 - The female kestrel was observed landing at the starling trap nest with a small piece of butchered prey. She did not enter the trap, but rather looked in and then flew back to the maple with the prey morsel still in her beak. Are young present? I had assumed she was incubating since the pair were first observed only a week ago. 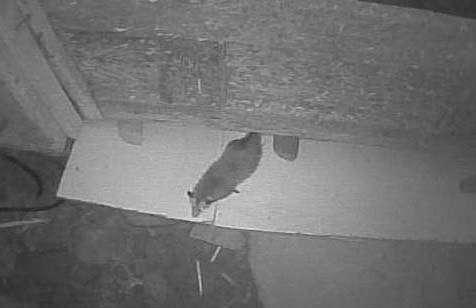 The amount of time she was spending in the trap box and the frequent appearance of the male in the ugly young maple are typical of their nesting habits when using box “A” or “B”. I had photographed her from a blind over the course of an hour and saw no other indication that nestlings were in the box. She was spending all her time in the box or perched in the maple. 6/4/2018 – The kestrel pair nesting in the trap have deserted. Neither one was seen in the maple or anywhere nearby today. Video monitoring of the box entrance showed no visitors. 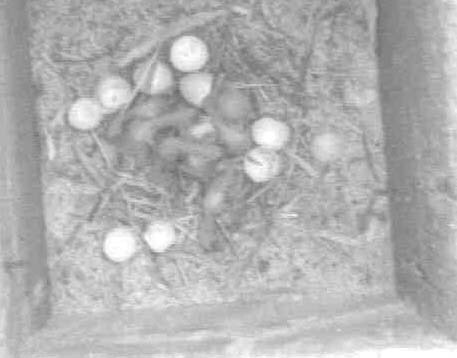 6/8/2018 - The first flicker egg of a new clutch was found in box “C” on the opposite end of the barn from box “A” which was predated. Video monitoring was begun. The evolutionary drive to reproduce is nowhere more strongly expressed than in the Northern flicker! Hopefully, their second attempt will be successful. 6/9/2018 - The female flicker laid a 2nd egg in box “C”. 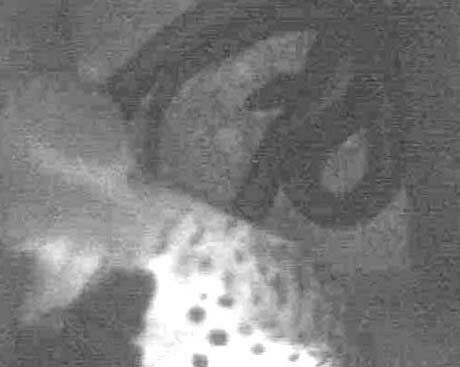 There were no male flicker visits yet and the box was empty at night. 6/10/2018 - A 3rd flicker egg was laid in box “C” . 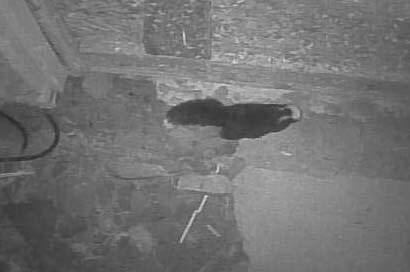 The male now visits the box, but infrequently. 6/11/2018 - A 4th egg was laid in box “C”. 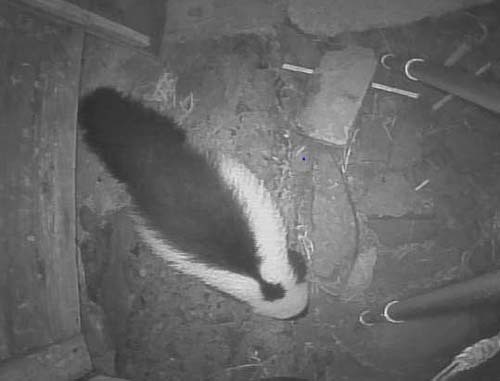 The male now remains in the box most of the day, but not at night. The night was unusually cold – 49 degrees F! 6/12/2018 - A 5th egg was laid in Box “C”. The male flicker was present most of the day and spent his first night in the box. All seems well. 6/23/2018 - Both adult flickers are acting normally. A total of 7 eggs are being incubated. 6/24/2018 - A large black rat snake predated Box C with 7 flicker eggs. I had checked the video around 10am and all was well. The male flicker was incubating 7 eggs. Checking the video again at mid-day, the box was empty. 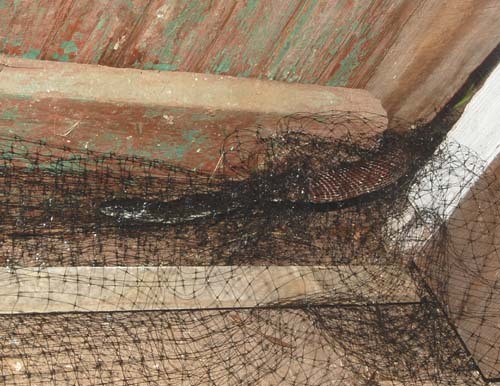 The black rat snake had already left the box and moved down the wall and attempted to enter the wood shop below, getting caught in the netting under the door. It was almost 6’ long. 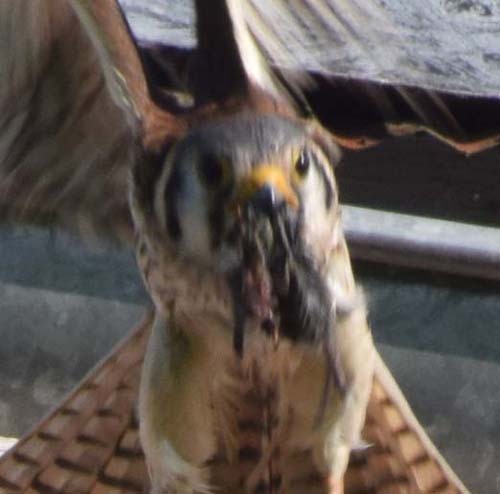 The video recordings were all on the barn swallow nests, so I missed this mid-day predation! Hopefully, I won’t get another chance. Nest entrance at top arrow. The snake was caught at bottom arrow, entering shop. Which combination of its senses did the snake use to discover this and the previous flicker nest? 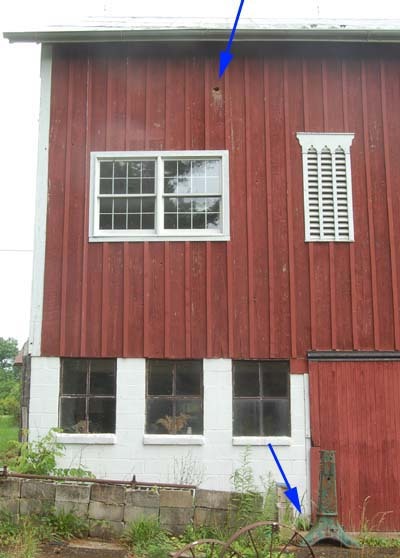 And, how was it able to home in on a 2” diameter hole 20 feet up in the barn wall? It could not have been by simple trial and error. And, since the flicker flies directly to the entrance, there would be no scent trail to follow on the wall. 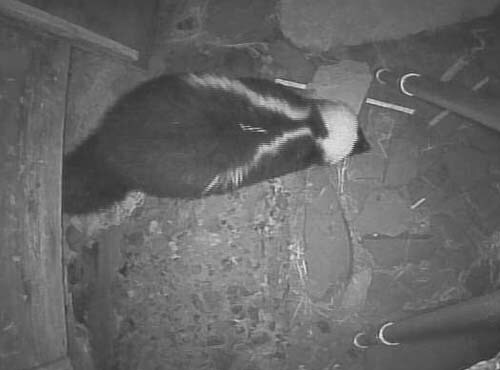 Flicking its forked tongue back and fourth (and up and down) to sample the air for telltale molecules emanating from the nest box seems an astounding feat. Does the snake compensate for a breeze? It would be interesting to know if it sometimes veered off course in its ascent to the entrance hole and had to make course corrections. Being able to experience the world as a snake, or, for that matter, an insect, would be incredibly different from our vision biased world. The complex world of pheromones and allomones is something beyond our grasp. 7/25/2018 – The second brood of barn swallows fledged today. This was the only pair to successfully nest this year. Another pair deserted, leaving three eggs in their nest. 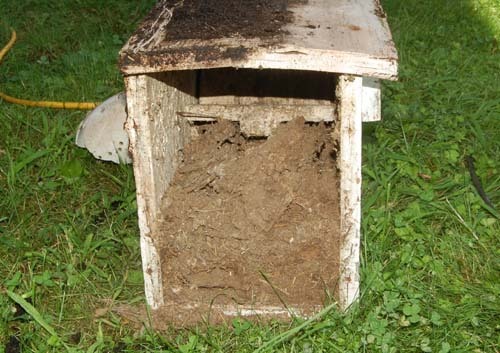 8/3/2018 – I finally removed the old starling trap box. No kestrel eggs, shells, or carcasses were present. 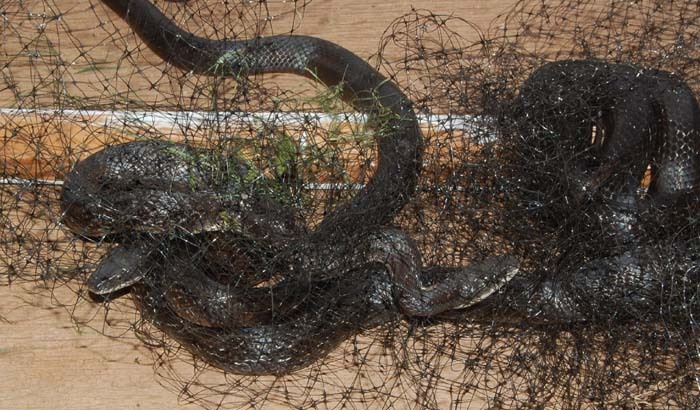 Did a black rat snake enter the trap and find eggs? This nest was right around the corner from box “A” where the seven flicker nestlings had been predated. 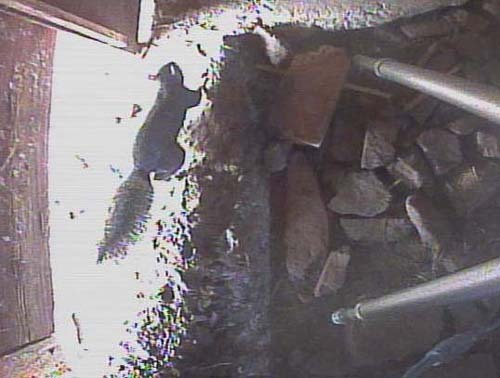 The trap balance beam had been gnawed off and apparently ejected out the enlarged entrance by a squirrel, making much more room to nest. However, the amount of old nesting material took up much of that space. The space above and behind the old starling trap has been intermittently used by big brown bats for several years. I always judged when they were using that space by the fresh droppings on the deck below. It turns out that was not a good indicator of their presence. When I detached the trap and pulled it away from the wall, 40 plus bats came flying by my head. Luckily, we have a good relationship, so I didn’t jump off the ladder. They have two other frequently used sites under the eaves and also behind the shutters on the upstairs porch and several bat boxes in the wagon shed. 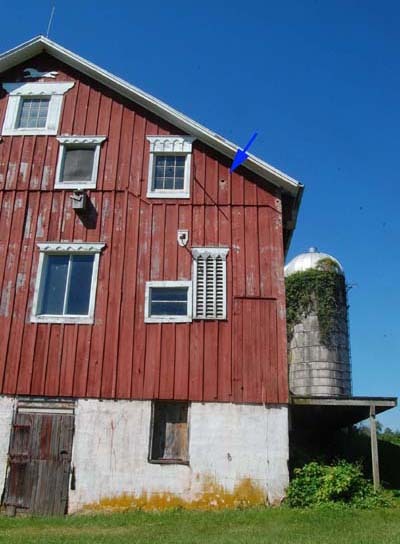 The arrow points to the bat entrance behind the old starling trap. 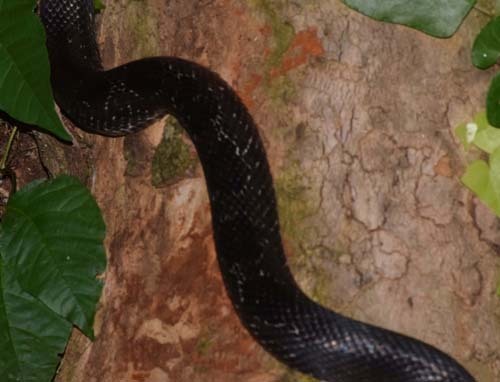 If the black rat snake would enter their secret space, how would a large number of bats respond? 8/13/2018 - Yet another black rat snake was caught while entering the workshop. Now the total is nine – all caught while entering the barn through 6 different entrances. This one was only 46” long. At first, when many large snakes were caught in a brief period in late May, I thought this might be a great gathering of males attracted to the pheromones of a resident female. However, the absence of open nesters in the yard this year and the fact that it is now mid-August suggests that maybe we did have that many residents. 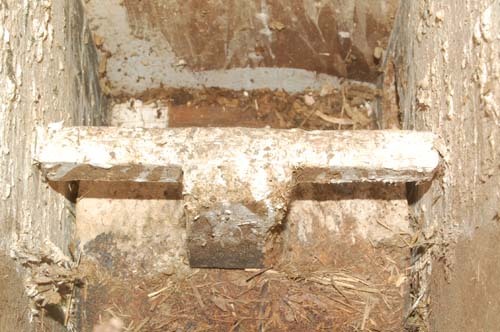 It would explain why there are no white footed mice in the barn except in winter. And, even the chipmunks were absent this summer. In previous years they had divided up the area surrounding the buildings and continually entered all parts of the barn, chicken coop, wagon shed, and porches. One would frequently run into the wood shop when I was working and would seem surprised to find me in his shop. Years ago, a chipmunk was caught on video hauling away the last of 5 recently hatched barn swallows from a nest under a conveniently located opening in the 2nd floor. 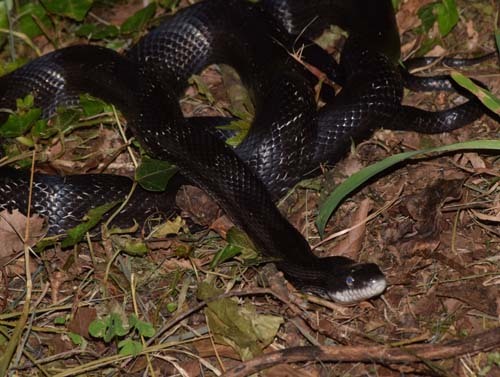 9/10/2018 – No more black rat snakes have been found in the barn. 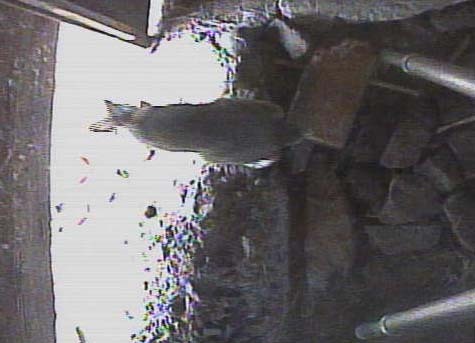 The only remaining open entrance to the swallow room has been video monitored for several weeks, revealing visits by a ground hog, feral cat, opossum, juvenile and adult skunks (separate nights), rabbit, squirrel and, today, the first chipmunk to be seen around the barn this summer. 10/9/2018 - Flickers are spending the night under the eaves of the barn, but had made no attempt to renest after their second clutch of eggs was lost. The three tower kestrel nestlings fledged without incident. All the netting at the barn doors has been removed and by next spring the 1300 sq ft swallow room will be made as snake-proof as possible. And, yes, I miss the snakes – but I miss the swallows and other birds even more.